If the natural landscape of Belize doesn’t leave you in awe, the vision of what God is doing in this country will. Truly a cultural melting pot, Belize is a country that offers so much diversity in more areas than one. The country may have a multitude of cultures and languages, but everything blends together in a mixture that is one of a kind. The resounding theme of the work in Belize is to strengthen community. This is done by working with missionaries that want nothing more than to raise disciples from the Belizean people. If the natural landscape of Belize doesn’t leave you in awe, the vision of what God is doing in this country will. 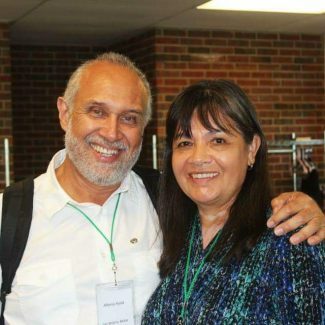 Alfonso and Elizabeth Ayala started off their missionary experience with the Mayan Indians in the Highlands of Guatemala. After they both finished their studies, they felt called to return to Central America to serve in the mountains of Honduras. Still in Central America, they are currently serving in Belize where they have been since 1989. Here, they are engaged in a variety of projects related to community health as well as community development. Their passion and commitment is to serve Christ and those in need in all they do.